As a member of the National Association of Digital Broadcasters and in compliance with our license with the IRUC, WTSA-IR will now have its call sign changed to WTSA-DB. The DB designation means Digital Broadcast, instead of the IR designation which was Internet Radio. This will not affect the programs or quality of the broadcast. Advertising: . At LogFm.com you can listen to any of the 45,000 radio stations online. We have made it easy for you to find your favorite radio, listen to the music you like, find the best new songs, listen to the latest news, etc. Simply type the station name in the search box and enjoy your choice. Listen to the radio online at LogFm.com. Our E-mail: info@logfm.com. 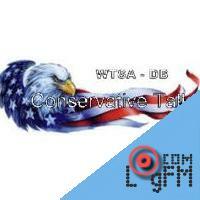 Live WTSA-DB Conservative Talk. Rock and pop music, to listen to the latest news online.All rights reserved. 2009-2019 © LogFm.com.